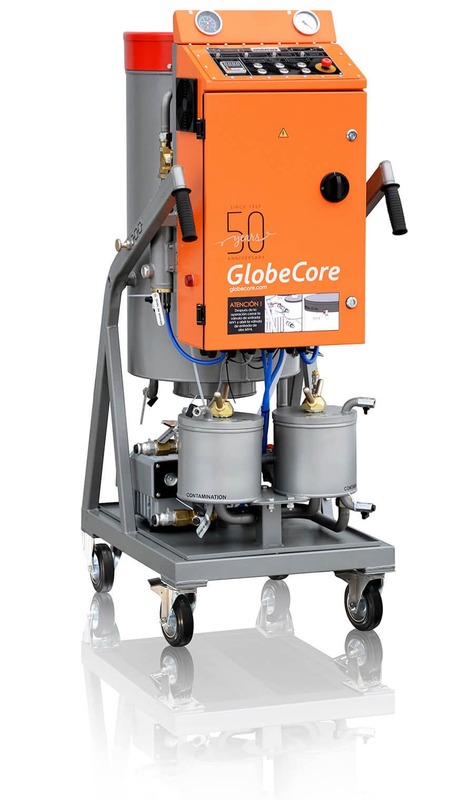 Purification of Transformer Oil in X-ray Machines with the CMM-0.4 Unit - GlobeCore. Oil Purification Systems. 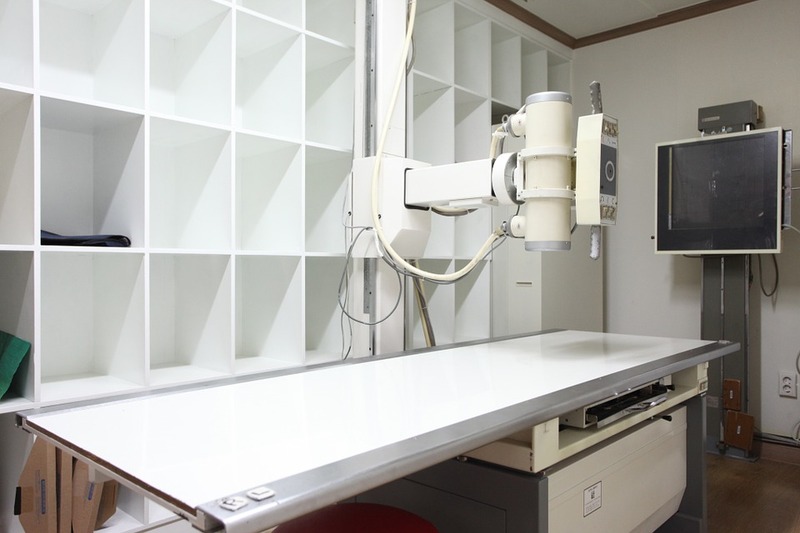 X-ray machines are used for medical or industrial purposes. The former are used for diagnosis of illnesses, while the latter help find defects in metal and non-metal structures (non-destructive control). Normal operation of an X-ray tube (XRT) requires high voltage, which may, depending on the purpose of the X-ray machine, reach as high as tens or even hundreds of kilovolts. Such high voltage is achieved with the help of transformers. Dissipation of heat generated by the XRT and the transformers. Protection of personnel from X-rays (in combination with metal filters). the dielectric strength of the oil depends on the X-ray machine and is usually required within 40 – 65 kV. Moisture and solved gas are critical for X-ray machine transformer oil. A comparison of dielectric strength of dry transformer oil and oil with 0.03% moisture shows reduction of dielectric strength by a factor of five. Gas bubbles also facilitate breakdowns. Oil with water and gas cannot be used in X-ray machines. The oil must be purified both before use and during use to maintain the reliability of the X-ray machine. To improve the efficiency of maintenance and service facilities, which work with small oil-filled systems, such as emitters and high voltage generators of X-ray machines, GlobeCore developed the CMM-0.4 unit. The СММ-0.4 is designed for removal of water, gas and particulate matter from transformer oil at the rate of 0.4 m3/hour (1.76 gpm). The oil is dehydrated and degassed by heat and vacuum. Particles are removed by filters. 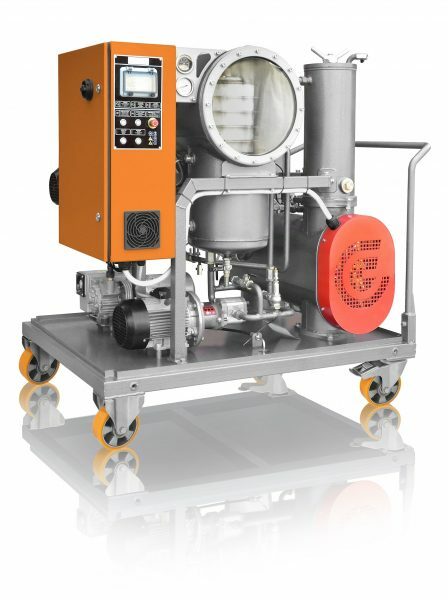 The СММ-0.4 is a compact and mobile unit well suited to process small amounts of electrical insulation fluids. After passing the unit, the dielectric strength of the oil grows to at least 60 kV, with purity class -/14/12 or better (ISO 4406). Operation of the unit simple, and training doesn’t take a lot of time. 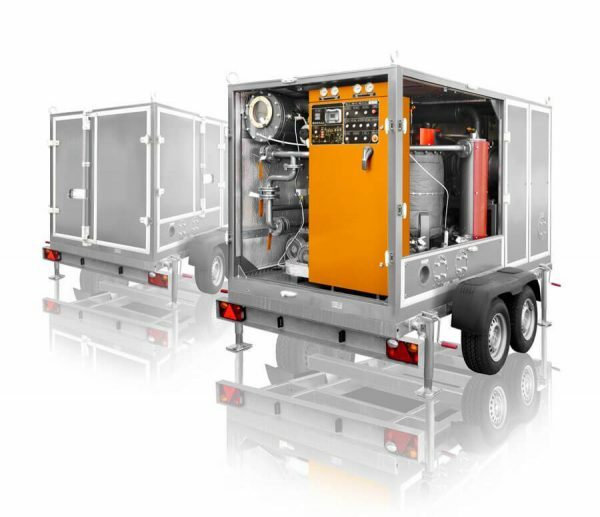 Reliability is further enhanced by an anti-foam system and an oil spill sensor which will stop the unit and alert the operator of the malfunction. It is possible to manufacture the unit to be powered from a regular power outlet. The CMM-0.4 unit improves quality of transformer oil purification and reliability of X-ray machines.